Is there any food or drink that doesn’t taste better with pumpkin spice? 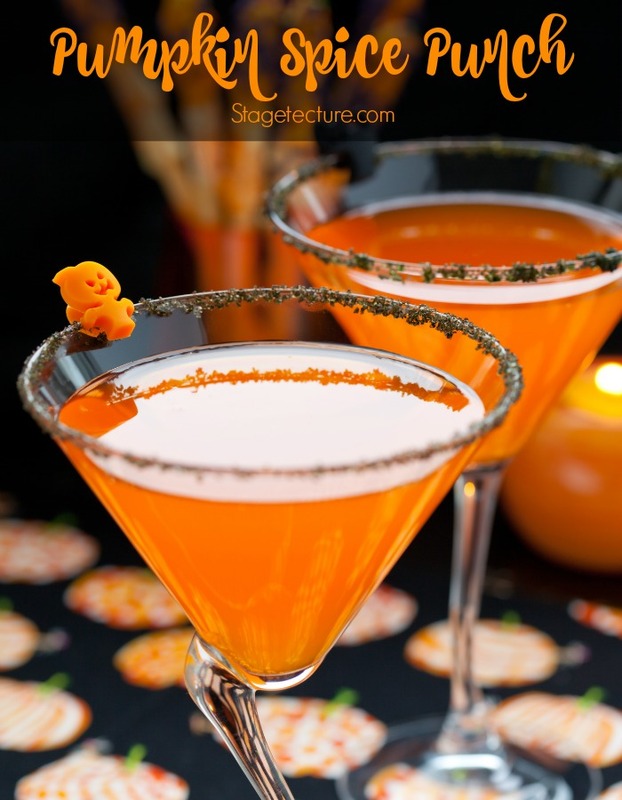 Any Halloween Party that respects itself should definitely have a tasty Halloween Drink that will complement the treats and foods that will be served. A great idea for any Halloween Party, especially for a buffet, is to make this fruity Halloween Drink: Pumpkin Spice Punch. Getting creative with the presentation and serving of the punch can even make it an essential part of your Halloween Party. Try these yummy Halloween treats alongside your Pumpkin Spice Punch. Take a large bowl and pour in the bourbon, juices, pumpkin puree, honey and spices. Stir well until all ingredients are combined. Strain the mixture using a fine mesh strainer into a large pitcher. Refrigerate until it’s time to serve. Before serving, stir in the ginger beer. Serve in glasses with ice for extra freshness and use cinnamon sticks, sage leaves, extra cinnamon or ginger for decor. Need more Halloween Punch Ideas? 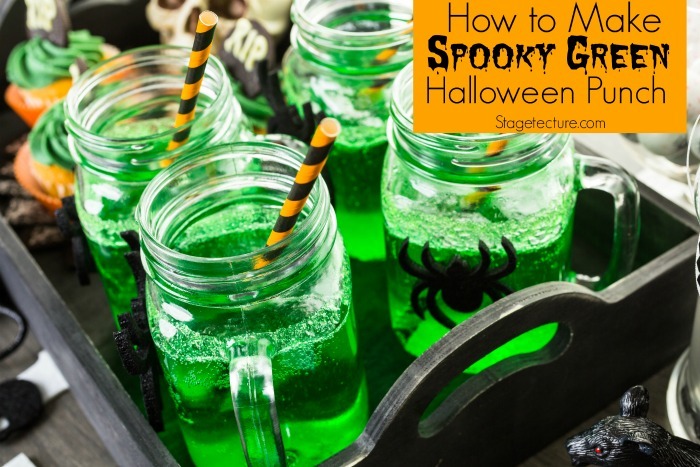 Try our Spooky Halloween Green Punch Recipe. Perfect for your Halloween party. To give it an extra Halloween look, serve the punch inside a Jack O’ Lantern. Just cut a circle in the top of a large pumpkin and hollow it out. Place a bowl that snugly fits inside the pumpkin and fills it with the punch. You can add creepy ingredients to the bowl to maximize the Halloween look or fruit pieces. Another great way is to use dry ice. For that, you will need two bowls, that a safe for dry ice, one larger as the other. The larger one should fit nicely into the pumpkin. After fitting the bowl into the pumpkin, use a tong to fill the bottom with one layer of dry ice. Cover with the slightly smaller bowl and fill it with the prepared punch. Now pour carefully some hot water into the bottom bowl so it comes in contact with the dry ice, making it to “smoke”. Keep in mind that this smoky effect will faint with time, so you will need to replenish the dry ice from time to time to keep the smoke going.